A) Pardee Opens its new Office Seeking LEED Gold & scoring a perfect 100 on Energy Stars Building Management Website. 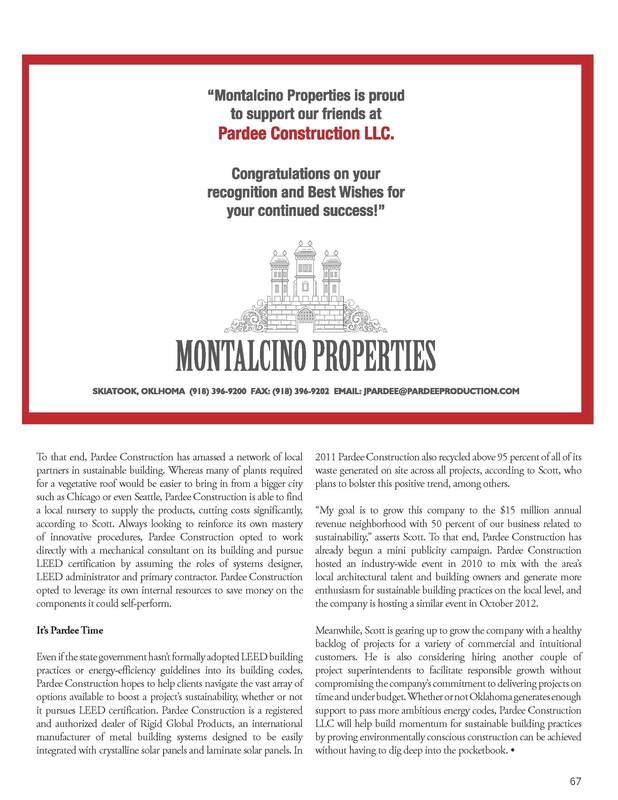 Published by GTR Newspapers, Jan. 2013. 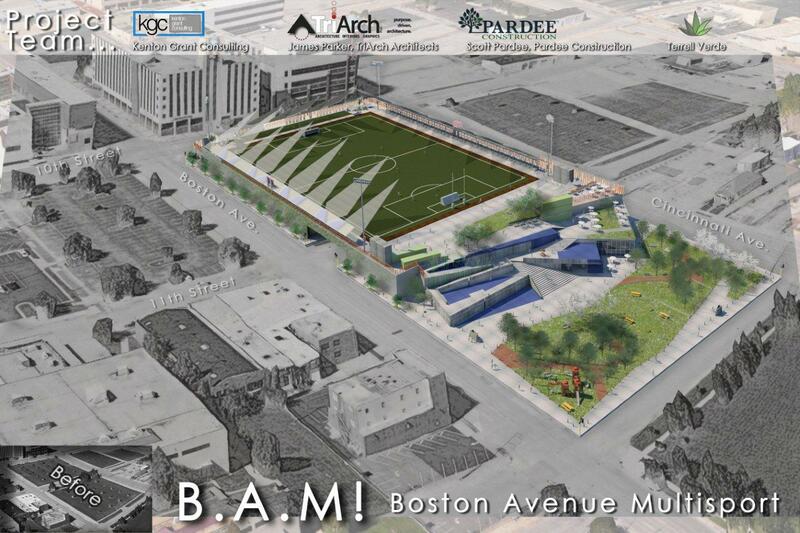 C) Boston Avenue Multi-Sport. 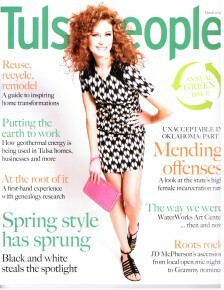 Published by Tulsa’s Channel 2 and Channel 8. Front page of Tulsa World and Tulsa Metro Chamber. 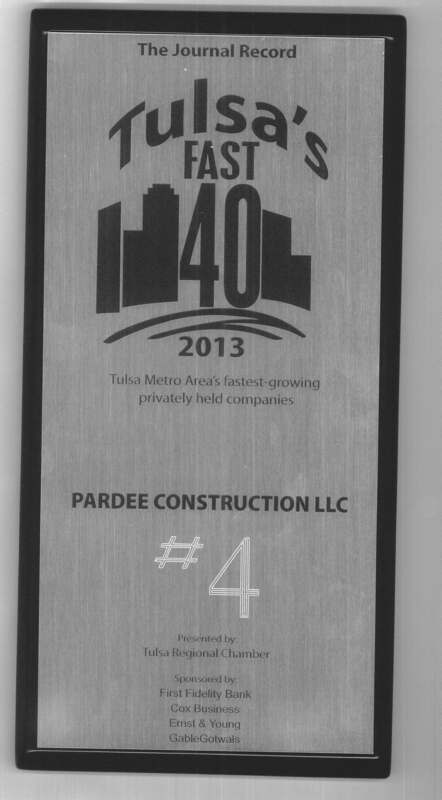 E) Tulsa journal Record Names Pardee Construction as the 4th Fastest Growing Company in Tulsa for 2013. 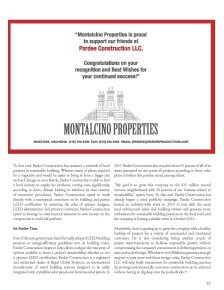 G) Pardee Construction & Hartog, Kallenberger, & Swarthout accounting firm identify demountable wall systems and creative financing which saved one owner 20% on the cost of a project. 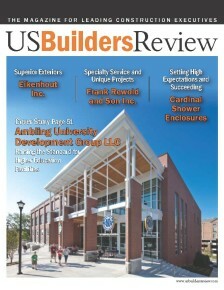 Article: Taxes are an inevitable part of business life so why pay more than necessary. Business owners may not be aware that when building a new office, renovating an older office space, or even just creating a few extra work spaces, the use of a “demountable” wall system could qualify for a significant tax break. 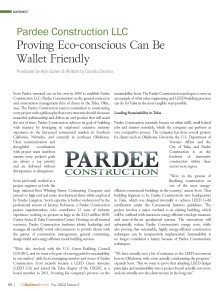 In trend with the continuing evolution in the construction industry towards a greener, simplified and more cost-effective trade, demountable wall systems embodies this idea. 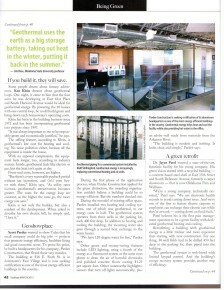 There are several types of demountable wall systems already available. 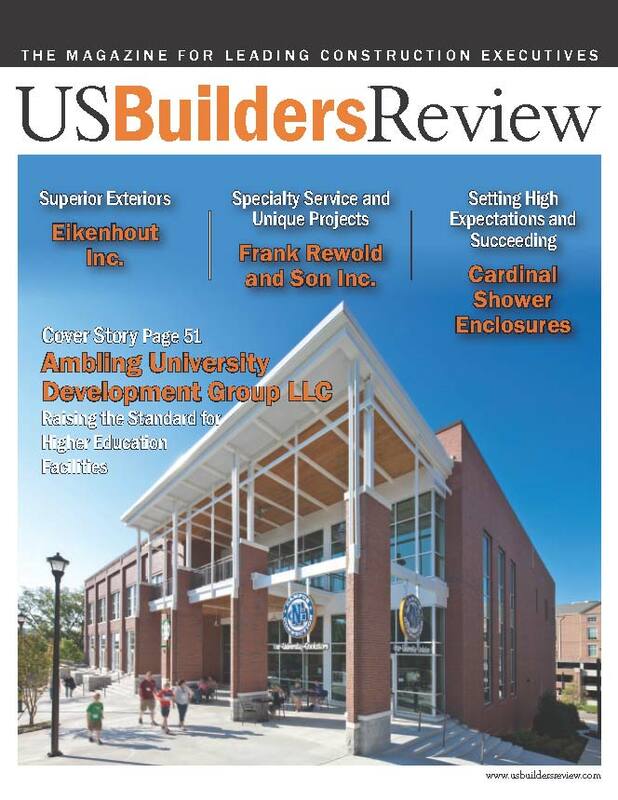 Many demountable wall systems are easily installed, needing no new, product-specific tools and little training for contractors, while still cost competitive with conventional drywall systems. Another factor contributing to their popularity is its eco-friendly design; it is a sustainable product, with reuse creating a reduction in landfill waste. 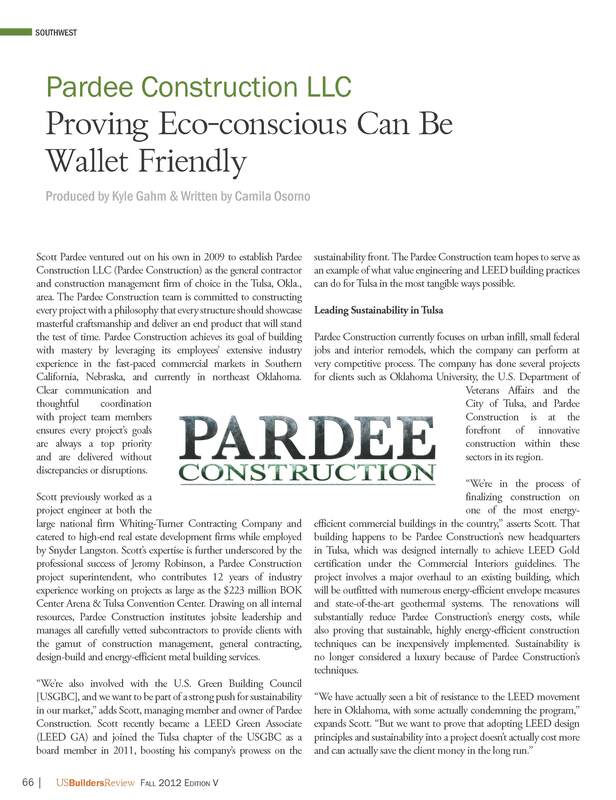 Pardee Construction, a local Tulsa company, is an advocate of these demountable wall systems. 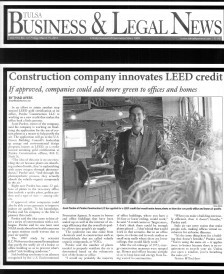 Scott Pardee utilizes Green Zip™ Seamless Demountable Drywall System, and is not only a fan of the product, but a customer as well. 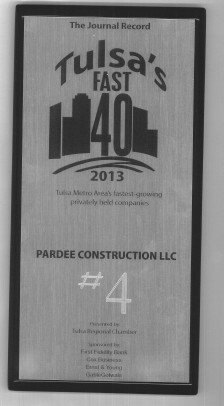 Pardee remodeled his new corporate headquarters located at 816 E. 6th Street in downtown Tulsa using the Green Zip™ partition system. 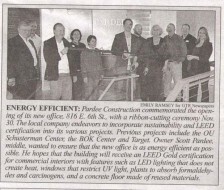 The cost of the interior remodel portion of the project was $250,000 and a savings of $53,000 was realized. 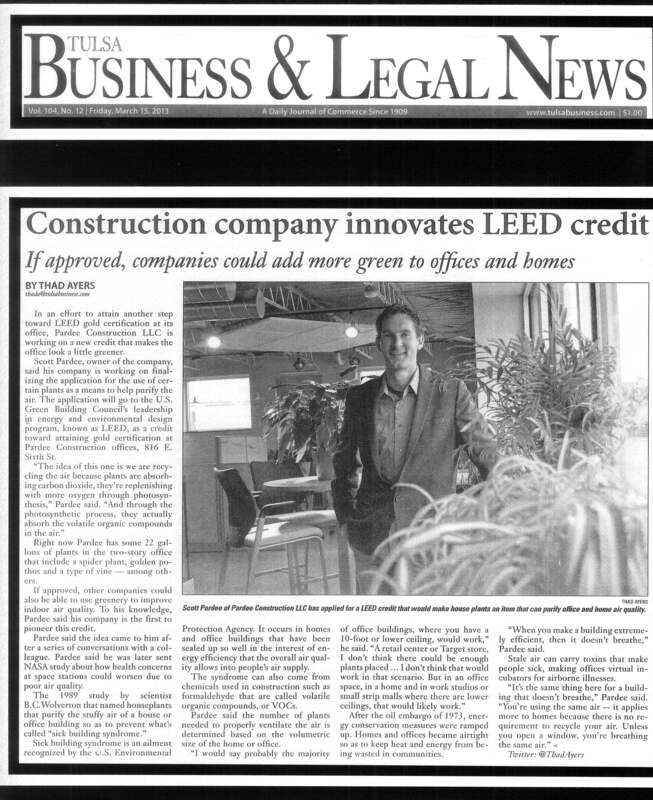 “Utilizing a demountable drywall system was not only an effective way of creating a functional office, but we also maintained our green philosophy and environmentally conscious efforts while benefiting from accelerated depreciation, “ said Scott Pardee, Managing Member, Pardee Construction. 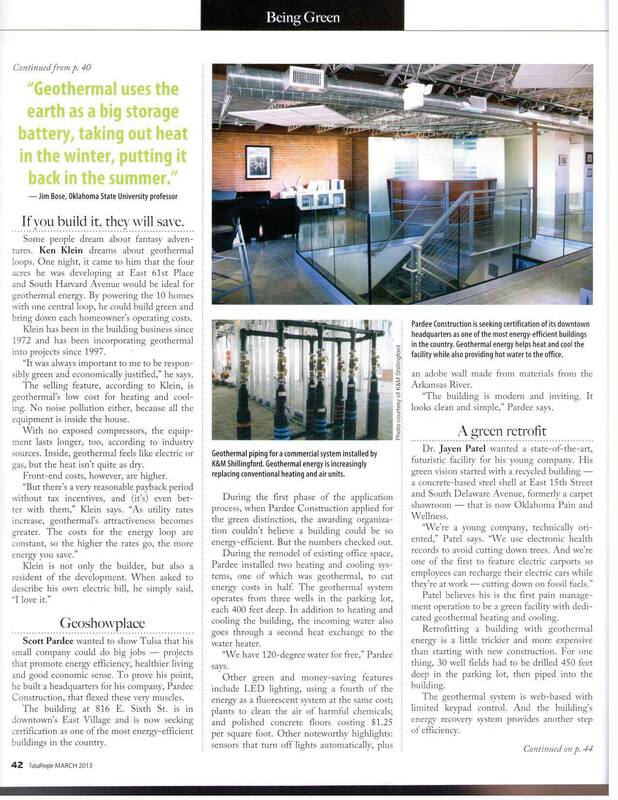 Pardee is currently working with Rigid Global Products and a local Tulsa architect to improve and create additional demountable systems for the market.